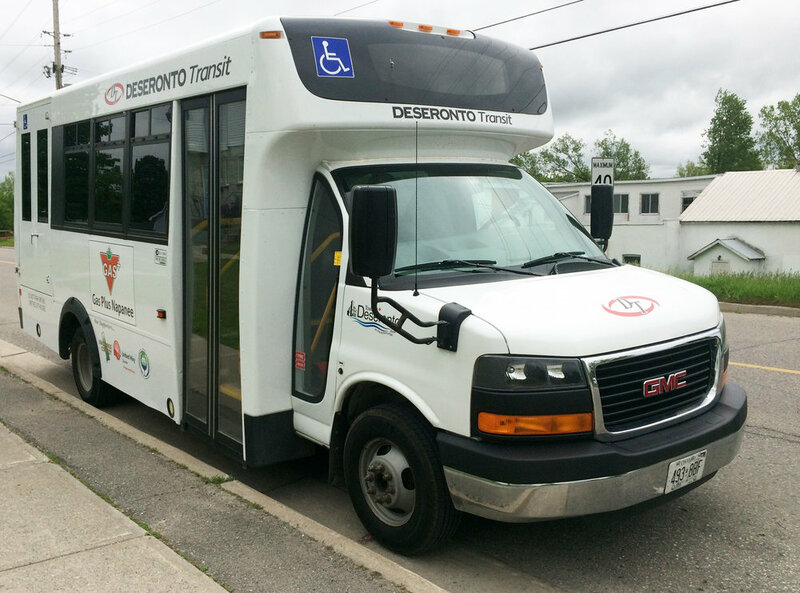 Public Transportation Services for Deseronto and area residents provide affordable transportation to communities including Napanee, Belleville, Prince Edward County and destinations in between. Local Charter Service: Deseronto Transit offers local charter services for all types of events. Our services are perfect and affordable for smaller scale events such as sporting events, winery tours in the County, group bus rentals to the Casino or the Sandbanks; really, for any event imaginable. With a full bus (16 passenger), the cost per person is very economical and can be as low as $6.00 per person. Pricing for charter trips varies by distance and driver time. Please call or email for a quote today! The Deseronto Transit Steering Committee governs the operations of Deseronto Transit. The committee meets once per month at the Deseronto Public Library. Please Note: Deseronto Transit does not operate on statutory holidays. Deseronto Transit now offers monthly shopping trips to Napanee which includes all major grocery destinations. In addition to the depot located at 48A Brant St. Deseronto Transit offers additional bus stops located at 320 Edmon St., as well as locations on Dundas, Main and Thomas Streets. Just look for the white Deseronto Transit signs. Please see the DESERONTO SCHEDULE above for stop locations in other communities Deseronto Transit travels to. Individual tickets & weekly/monthly passes can be purchased from the Deseronto Transit office at 48A Brant St. or the Deseronto Town Hall located at 331 Main St. Tickets can also be purchased directly from the driver (exact change required). For detailed information regarding prices, routes and schedules pick up your copy of the Deseronto Transit (DT) brochure today. Brochures are available at the DT office located at 48A Brant St. Deseronto. Administration/Bus Depot: Monday-Friday: 8:30am - 4:30pm Saturday & Sunday: Closed Tickets can always be purchased from the driver when boarding the bus. Exact change is required.